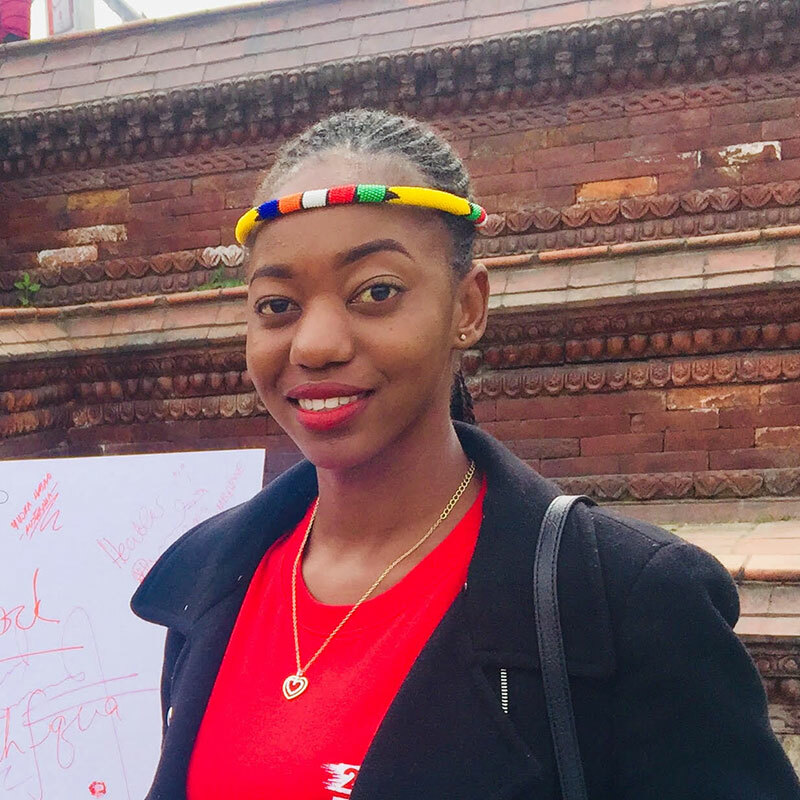 Heather works as a Project Officer for My Age Zimbabwe Trust, a young people’s network and NGO working on Sexual Reproductive Health Rights (SRHR) as well as HIV and AIDS. She heads the adolescent girls and young women department and coordinates with girl and women empowerment forums and platforms (both regional and international). All of this involves engaging with young people that are working within the framework of the Sustainable Development Goals and Agenda 2030. She is currently in her second year of a Degree Programme in Development Studies at the Zimbabwe Open University (Masvingo Region). Heather is interested in adolescent girls and young women empowerment with a focus on legal and safe abortions and access to comprehensive information and services on contraception. She believes young people should have adequate access to age appropriate, culturally relevant and scientifically proven information, commodities and services on SRHR in their diversity. Heather is interested in the effective participation of young girls and women in the economic arena and involvement in the planning, implementation and monitoring of community development initiatives. She is always on the lookout for partnerships with organisations and donors working and supporting access to contraception and menstrual hygiene management. "Information on sexual reproductive health and rights saves lives. The more that young people access information and services freely and friendly, the less we risk an upsurge of new HIV infections and sexually transmitted infections, teenage and unplanned pregnancies, and illegal abortion. It is my responsibility as one of the 25x25 to empower young people across Zimbabwe to challenge the status quo on existing global health barriers."